The ESP8266 has become one of those ubiquitous parts that everyone knows. However, the new ESP32 has a lot of great new features, too. If you want to take the ESP32 for a spin, you should check out [Neil Kolban’s] video series about the device. When we say series, we aren’t kidding. At last count, there were nineteen videos. Some are only a few minutes long, but some weigh in at nearly twenty minutes and the average is somewhere in between. The topics range from setting up tools and using Eclipse and GDB. There are also tutorials on specific tasks like PWM, analog conversion, real-time operating systems, and more. This third chapter of an e-book on electronics is a good read. It goes through the physiology of getting shocked (DC is more likely to freeze your muscles, but AC is more likely to fibrillate your heart) and the various scenarios that you should be looking out for. There’s a section on safe practices, and safe circuit design. It’s the basics, but it’s also stuff that we probably should have known when we started messing around with electrons in bulk. Last weekend I ran out of filament for my 3D printer midway through a print. Yes, it’s evidence of poor planning, but I’ve done this a few times and I can always run over to Lowe’s or Home Depot or Staples and grab an overpriced spool of crappy filament to tide me over until the good, cheap filament arrives via UPS. The Staples in my neck of the woods was one of the few stores in the country to host a, ‘premium, in-store experience’ featuring MakerBot printers. Until a few months ago, this was a great place to pick up a spool of filament that could get you through the next few hours of printing. The filament cost about three times what I would usually pay, but it was still good quality filament and they usually had the color I needed. This partnership between MakerBot and Staples fell through a few months ago, the inventory was apparently shipped back to Brooklyn, and now Robo3D has taken MakerBot’s space at the endcap in Staples. Last weekend, I picked up a 1kg spool of red PLA for $40. What I found next to this filament left me shocked, confused, and insatiably curious. I walked out of that store with a spool of filament and a USB thumb drive loaded up with twenty-five STL files. This, apparently, is the future of 3D printing. Have you heard about the new Raspberry Pi Zero W which now includes WiFi and Bluetooth? Of course you have. Want to know what went into the addition to the popular design? 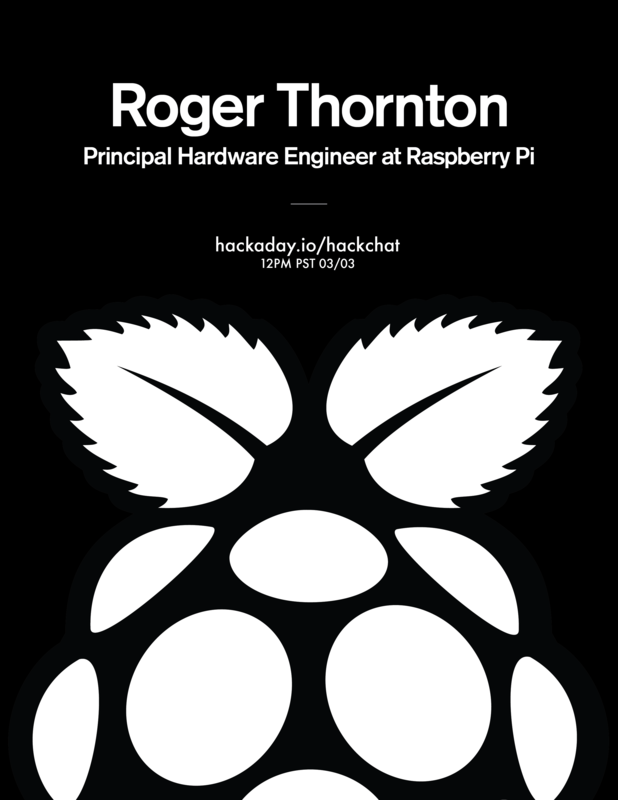 Now’s the time to ask when this week’s Hack Chat is led by Roger Thornton, chief hardware engineer for Raspberry Pi. Raspberry Pi was born on February 29th, 2012 and has seen a remarkable number of hardware flavors and revisions. Throughout, the hardware has been both dependable and affordable — not an easy thing to accomplish. Roger will discuss the process his team uses to go from concept, all the way through to the hands of the user. It’s an excellent chance to ask any questions you have from soup to nuts. The Hack Chat is scheduled for Friday, March 3rd at noon PST (20:00 GMT). Mark your calendar for Friday March 10th when Hack Chat features mechanical manufacturing with members from the Fictiv team.